Under cloudless skies, Fenwick completed his victory with a fine round of 66 at Royal Dornoch. The 27-year-old led from the start after an opening round of 65 at Nairn. He continued to head the way after a 71 at Castle Stuart, but the tournament was wide open going into the final day with the top eight players separated by just two shots. Fenwick needed to produce his best to hold off the chasing pack and he managed it with an error-free round that included two birdies and an eagle at Royal Dornoch’s par-5 12th. Playing his final round at Castle Stuart, Greg McBain of the Paul Lawrie Golf Centre also fired a 66 to climb into second place, just one shot behind Fenwick’s winning total of 11-under-par. Fenwick picked up the top prize of £5,200. Fenwick has a links background, playing out of Dunbar, and he believes that was a key to the three great rounds he produced over three of Scotland’s best links courses. There were 47 teams contesting the event with the field split into three to play the courses in rotation. 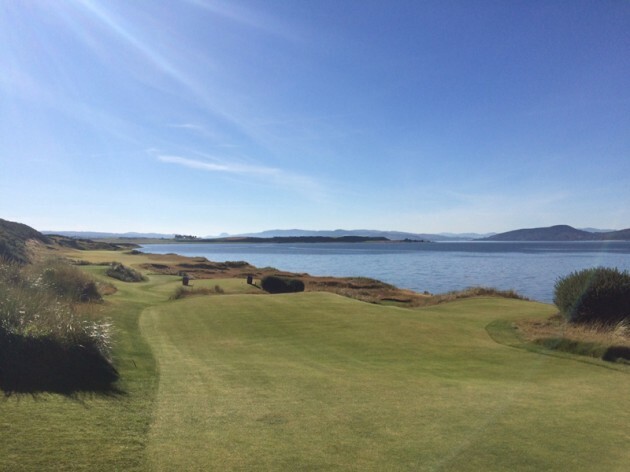 With superb weather over the three days, the tournament showed the quality of golf that is available in the Highlands of Scotland. Coming out on top in that highly competitive team event was PG Taverns together with professional Lloyd Saltman. They scored a total of 263 points to beat Iain Colquhon and the Blue Machinery team by virtue of a scorecard playoff. The team competition was played to a Stableford format with the best two of the four scores counting at each hole. The PG Taverns squad of Gordon Gihooley (a 4 handicapper from Haddington GC,) Davie Hill (an 8 handicapper from Archerfield) and Graham Hillan (a 4 handicapper from Strathaven GC) produced some excellent golf to post scores of 84 at Dornoch, 87 at Nairn and then a superb 92 at Castle Stuart. It was the third year the team has competed in the event. They were runners-up last year, but went one better this time out.